LearningMeasure.com will be offline starting about 3pm this afternoon to transfer servers. It is anticipated that it will take a few hours to complete this task. Since the servers will have new addresses, you may have to hit the reload button to get access after the servers are back up. This is due to us changing locations, and the transfer of the servers is the last step in this process. Sorry for the inconvenience, but it is necessary for LearningMeasure.com to continue providing this service. UPDATE: The transfer seemed to work well. If there are any problems, please contact us. I have received some feedback that there is a need for some basic safety training in a lab environment. A series of courses are in the process of being developed to meet this need. These are just the first three in a series of courses, there are a number still under development that will be released over the next year. 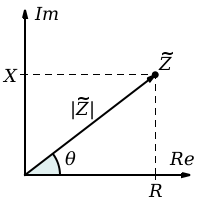 Triangulation is the process used to determine the location of a distant point by measuring the observed angles of the line-of-sight to that point from two different locations. In other words, given one side of a triangle, and two angles, one can determine the lengths of the other sides. Triangulation has many applications from radar to motion capture, but was initially used for surveying. This is the second course in a series of courses on technical writing and communication. The subject of this course is the technical report, also called a scientific report, which is an import form of communication in engineering, scientific, and academic pursuits. This is an introductory course on phased array antennas. After a short review, the course describes first the simplest array, a two-element array of isotropic radiators. Then goes on to describe linear, planar, and conformal arrays. Some concepts such as sine space patterns and grating lobes are introduced. This course is intended to be a foundational course for future courses on the topic. Thermodynamics as a subject came out of the industrial revolution and the desire to see how much work can be produced from a steam engine. The subject of thermodynamics however is of much greater utility and generality. This course is the first of a series of courses on the subject. This course is meant to provide an introduction to some of the concepts used in thermodynamics, and then to express the laws of thermodynamics using those concepts. In this course the concepts of impedance and admittance are explored. For one-port devices impedances and admittances are complex numbers, but for devices with two or more ports, impedance and admittance are matrices that relate currents and voltages at the device’s ports. Related to these matrices are the ABCD matrix for two-ports, and the scattering matrix or S-parameters. These concepts are all introduced in this course. I have been neglecting the site blog as I have been working on LearningMeasure.com. Obviously I haven’t posted in almost a year. I will try to generate posts on some of what I have been doing in the last year. This reviews the basic concepts of power and energy, and how they can be determined mechanically and through temperature measurement, and building on that foundation it describes various technologies used to determine RF and microwave power.